Do you know that stretching can reduce stress in your life? And, are you aware that stretching can also decrease body pain? A few minutes of stretching in a day can save you from a lot of diseases. You just need to apply the four directional stretches daily in your busy schedules. 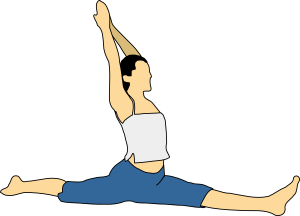 These stretches are the back bend, forward bend, side bend, and the twist applying stretches. If the muscles of your body are tight and stiff, then the flow of blood and nutrients to the muscles and joints is reduced. This causes body pains and if not cured on time, would lead to several chronic diseases. So, it is better to cure them right away, and the easiest way to cure body pains is by stretching your muscles and joints. Most of us spend our time sitting at a desk for the entire day. We hardly take any breaks in between and this makes our body extremely stiff. Moreover, im proper posture at the computer table leads to decreased circulation of blood to the arms and legs. By the end of the day, you have severe body pains. This is a common routine for most of us and the simplest way to keep your body free of pains is by stretching. Just stand up every hour from your desk and stretch your body for a few minutes. This will make the muscles flexible and keep you away from pains. Stretching will make your muscles more flexible so that you can work for longer durations without stressing your body. It will increase the range of movement and reduce the risk of damage to the body. If your muscles are tight then there are chances of you injuring your body. 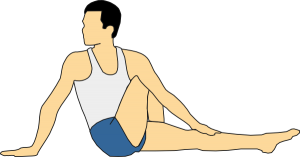 Stretching will make your muscles supple and prevent injury. Stretching your body after exercises is very important as it will decrease muscle soreness. It will enhance the circulation of blood to all muscles and joints. It will even aid in reducing cholesterol in your body. Your body will be able to move more freely as stretching will develop the mind and body. Co-ordination between your body parts will improve. The body posture will improve as your muscles won’t be stiff anymore. It will reduce the lactic acid from the body and make your free of stress and pains. The physical fitness of your body will improve as you will be capable of participating in physical sports and activities. In short, stretching will enhance the performance and quality of your life. Without body pains and stress, you will be able to function and perform better in life. So, add few minutes of stretching to your daily routine and stay away from body pains!